Lashes and Brows by Michelle, Freelance Beauty Specialist. 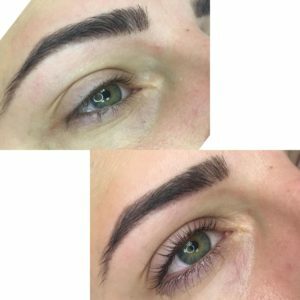 Lashes and Brows in Jewellery Quarter. 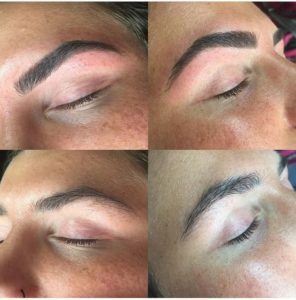 To have the finest groomed brows you can choose to have a simple brows tidy using either wax, threading or tweezing, or if you require further brow definition and volume, book a full bespoke brow definition service tailored to your requirements. 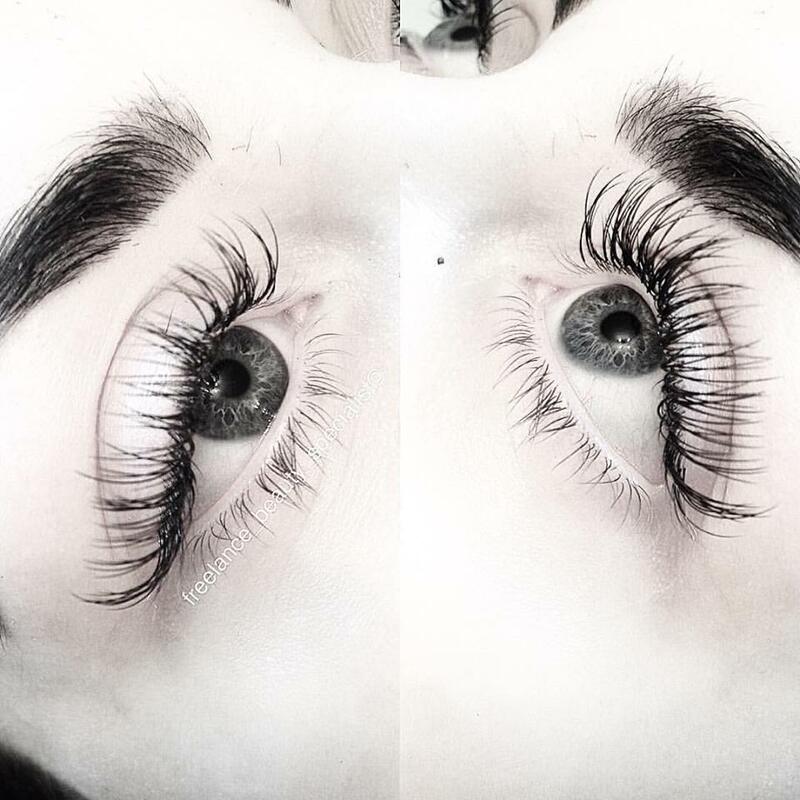 You can enhance your lashes with a simple tint or if you really want to frame your eyes and face then book in for individual lash extensions. 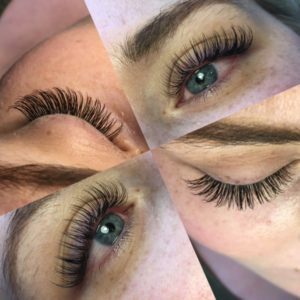 Individual lashes are applied one at a time onto the natural eyelash for a flawless finish without overloading the natural lashes or causing damage. This creates the appearance of fuller, thicker-looking lashes with added volume, which also allows flexibility to create a subtle enhancement to all-out glamour. 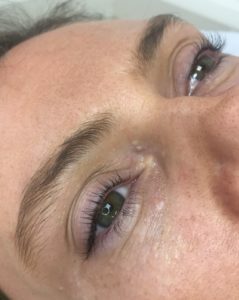 Lash Lift is a natural lash enhancement that will give the appearance of thicker, longer lashes that can last up to 8 weeks. 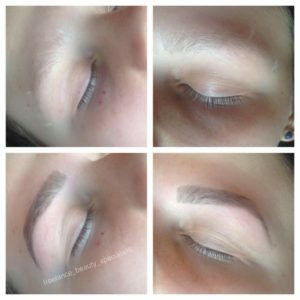 This treatment is incredibly popular and is an excellent alternative to eyelash extensions. The lifting effect naturally enhances the natural thickness of the lashes giving a more defined overall appearance. The addition of an eyelash tint will make the newly lifted lashes more visible. 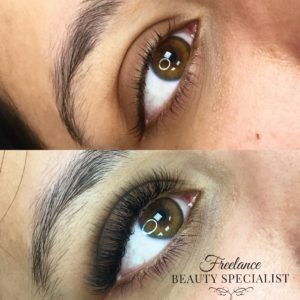 This treatment is ideal for anyone with straight natural lashes or those looking for a natural curl without the need for extensions-especially great for those who are going on holiday or special occasions… no more need for eyelash curlers! Curly and lifted lashes as soon as you open your eyes in the morning lasting up to 8 weeks! This is where I meticulously hand make every extension anything from 2-6 ultra-fine hairs (from a diameter of 0.05mm-0.07mm) applied onto one of your own individual eyelashes, an eyelash at a time. 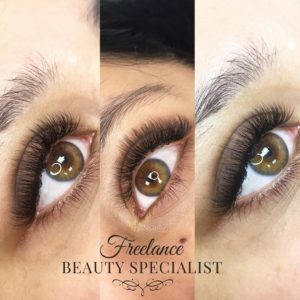 If two eyelash extensions are applied to one natural lash it’s described as 2D, if three eyelash extensions are applied to one natural eyelash then it’s described as 3D etc. 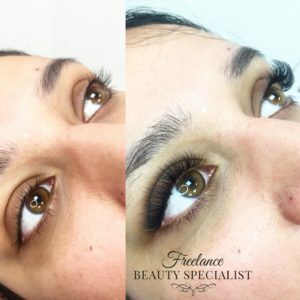 This method is also known as Russian volume, the most effective and safest technique used in the market today as the ultra-fine hairs are tailor made to give a voluminous, glamorous look yet because the weight of the lashes are evenly distributed on each of your own natural lashes, there is no damage. This is nothing like “cluster” lashes where a chunk of lashes are glued to a bunch of your natural lashes! Cluster lashes are bad for your natural lash and can cause permanent damage. Volume lashes on the other hand, are actually lighter than classic lashes. 1 (3D) Volume fan weighs less than 1 classic lash. Also, a lot less glue is used during the volume technique so you don’t feel any weight on your eyes at all. You just see beautiful fluffy lashes. See what Cosmopolitan magazine has to say! 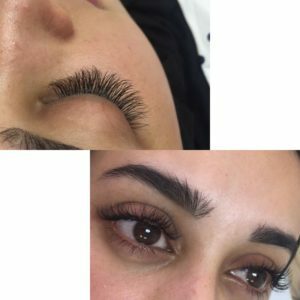 Lash extensions will last a lash life cycle (30 days-3 months) there are 3 stages of a lash cycle and depending on the stage the lashes are at, some new lashes grow and some shed. In order to keep the fullness and fluffiness of the lash extensions an infill is recommended every 2-3 weeks for maintenance. You can keep having lash extensions applied, after 3 months it is recommended to take off existing lashes and start afresh, lash removal will be free of charge for this.